Home Lifestyle Health & Wellness Snared by New Blood Pressure Guidelines, Now What? 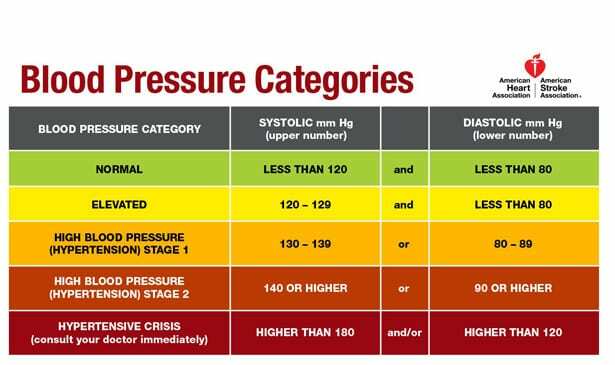 Snared by New Blood Pressure Guidelines, Now What? Nearly half of Americans have high blood pressure under guidelines published last week, which lowered the threshold for the chronic condition. “Obesity is very, very closely tied to increased blood pressure,” says Nissen, who didn’t help come up with the new targets. For most people, “without damage to the endothelium, you don’t get heart disease,” says Suzanne Steinbaum, DO, director of women’s heart health at Lenox Hill Hospital in New York City. She also didn’t help come up with the new guidelines. Next articleWhat is a Dental HMO Plan?